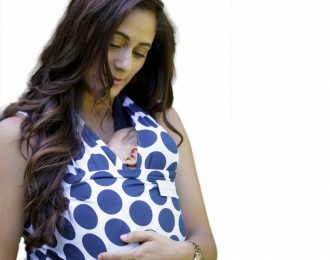 Designed for you to hold your baby. An abdominal wrap worn post-pregnancy to help return the body to its original shape. Having been pregnant four times, Nadia Rinquest – the woman who established Cherished Belly – knows a thing or four about modern-day motherhood. Familiar with the products on offer designed to help women before, during and post pregnancy, she came to understand where some were good and where some were lacking. An enterprising mindset then came in to play as she set out to improve on the choices available to moms who want to feel good about their bodies and themselves despite the challenges of pregnancy. Cherished Belly then went on to create the Belly Belt – an abdominal wrap worn post-pregnancy to help return the body to its original shape. The idea for this stemmed from an age-old tradition of wrapping a scarf around a new mother’s belly to help it mould to its natural curve. So, with the trusted methods of the old together with modern techniques and progressions of the new, Cherished Belly aims at developing and innovating products to help pregnant women of all ages. “After the birth of your baby, your tummy needs all the comfort and support it can get.